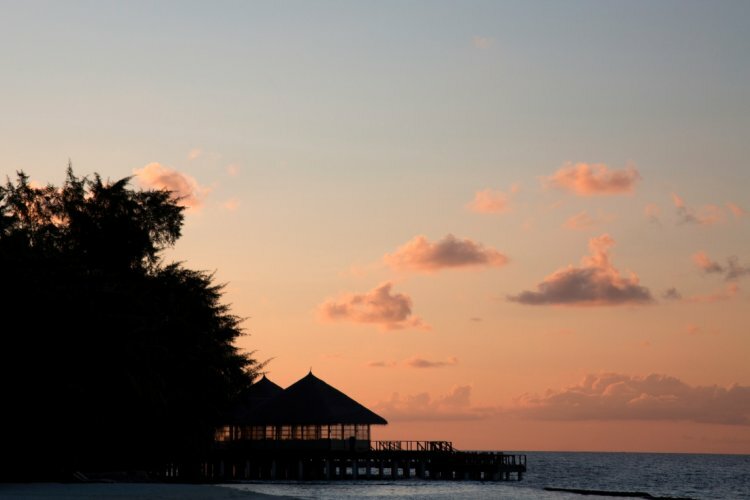 Soft alabaster sand, calm waves and turquoise waters welcome you to Coco Bodu Hithi. 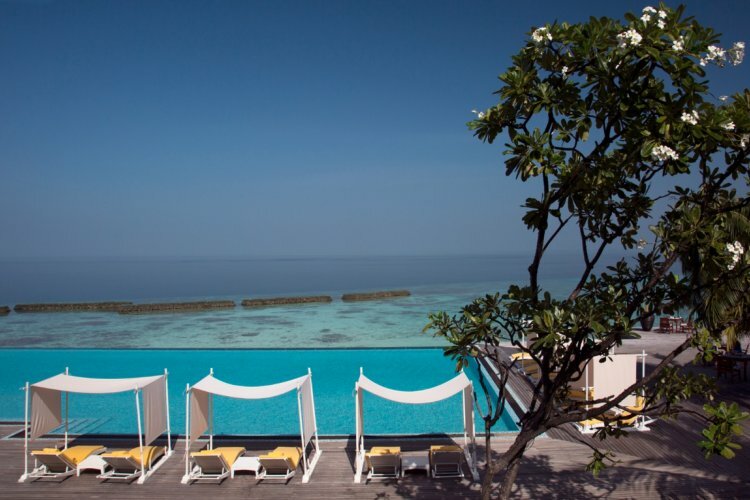 This paradise island resort I just a short 40 minute trip from Male and features its own house reef, teeming with aquatic wonders including Hawksbill turtles, Nurse sharks, Manta rays, and Barracudas. 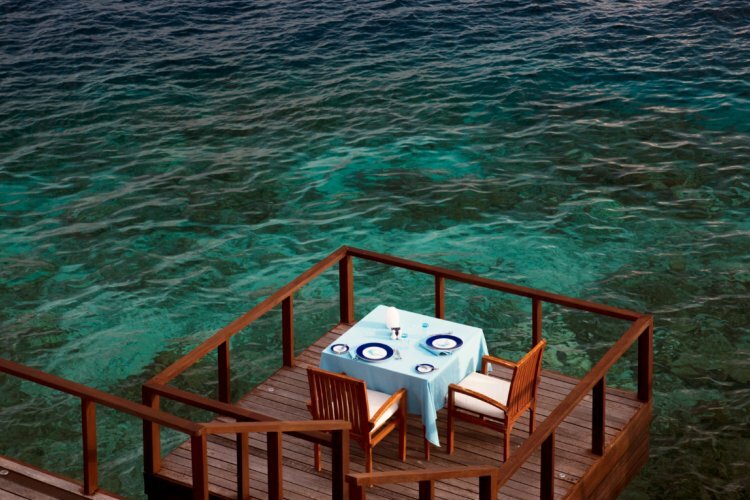 Enjoy spectacular views of the island or the endless stretch of ocean from your own private villa. Find comfort and luxury under the thatched roof including private pools, outdoor showers, beach access, open air lounges and exclusive privacy etc. 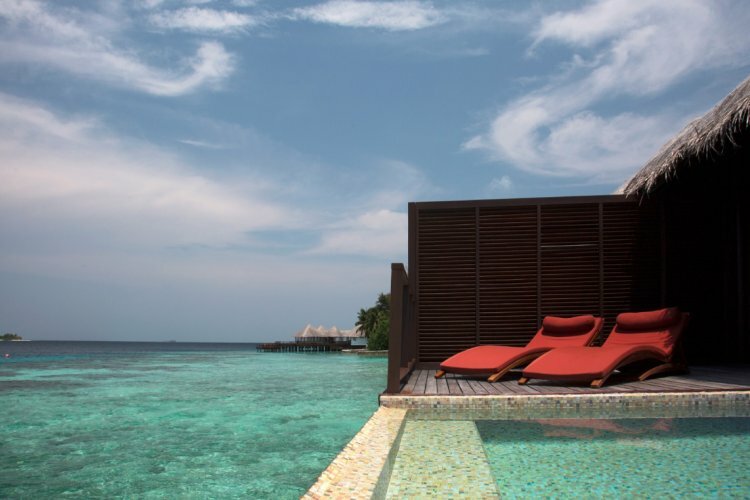 The Island Villas are elegantly designed to combine natural Maldivian design with modern luxurious touches. Villas are open plan with a stunning large bathtub perfect for relaxing in the evening. The beachfront terrace overlooks the shimmering crystal clear ocean and is the ideal place to experience sun filled days relaxing. 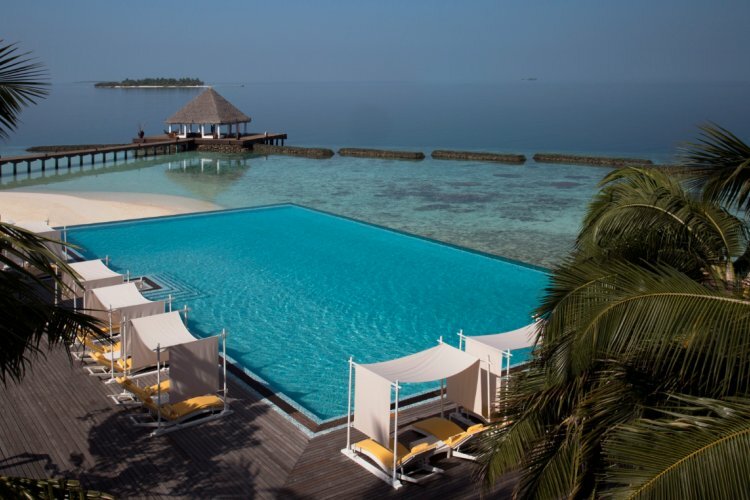 The swimming pool is great for taking a refreshing dip in the midday sun. The outdoor shower provides the ultimate cool down with stunning scenery. 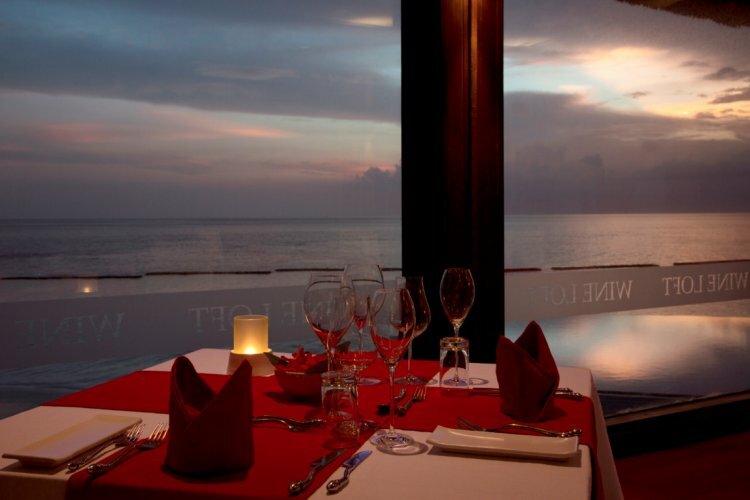 Five restaurants and two bars open an endless choice for food and drinks during your stay from fine dining and casual lunches to barbecues and private in-villa meals. 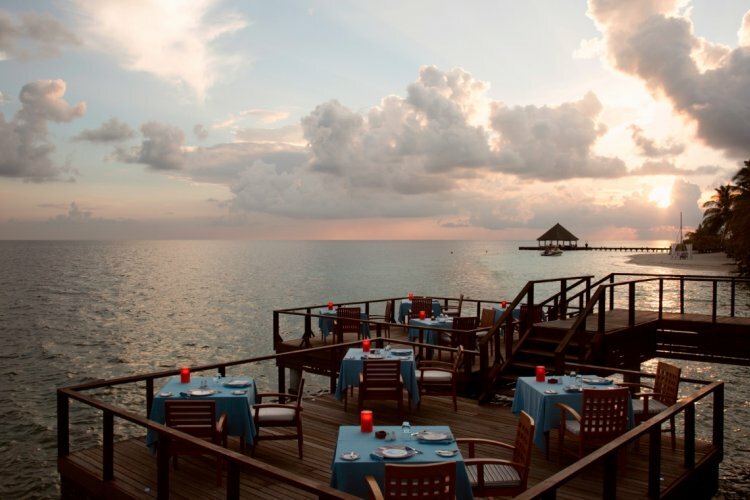 The dishes and cuisines available are inspired from every corner of the globe to the very ocean that surrounds you. Fresh seafood is caught every day and served up at Aqua while Japanese influences are abundant in Tsuki. If fusion food is more your thing then give Stars a try with its range of dishes combining flavours of the Mediterranean with those from the East. 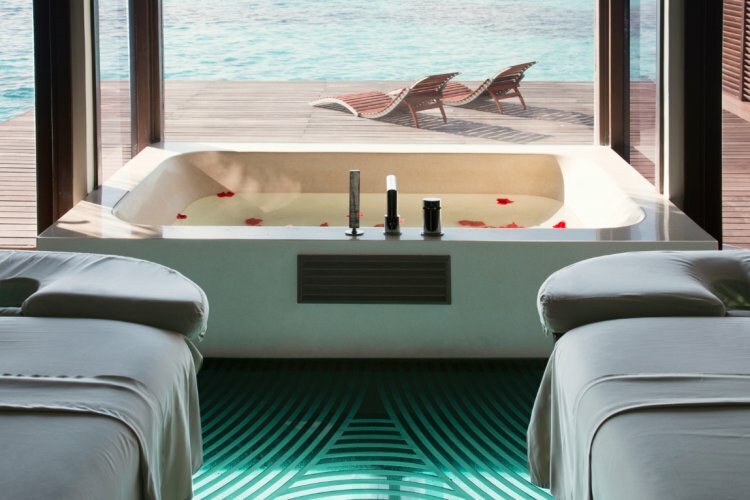 Indulge in some time to yourself to relax and unwind at the Coco Spa. As well as a full selection of restorative treatments, massages, rituals and body wraps, Coco spa also features a range of excellent facilities including a Jacuzzi, cold plunge pool, sauna, steam room, and fitness centre.